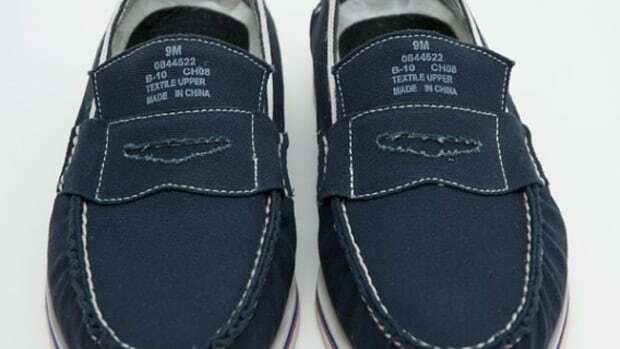 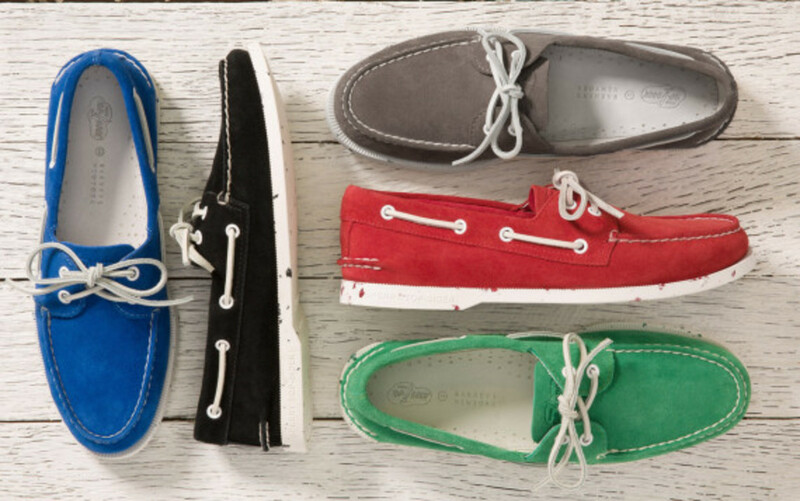 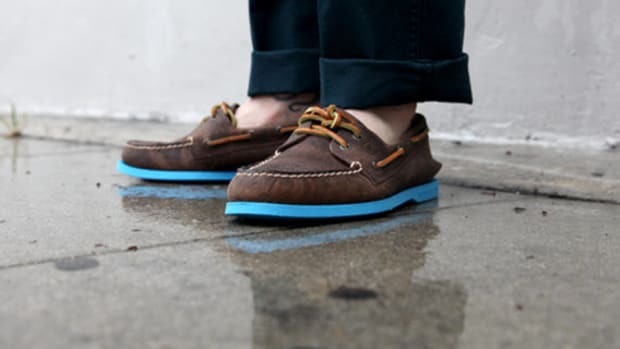 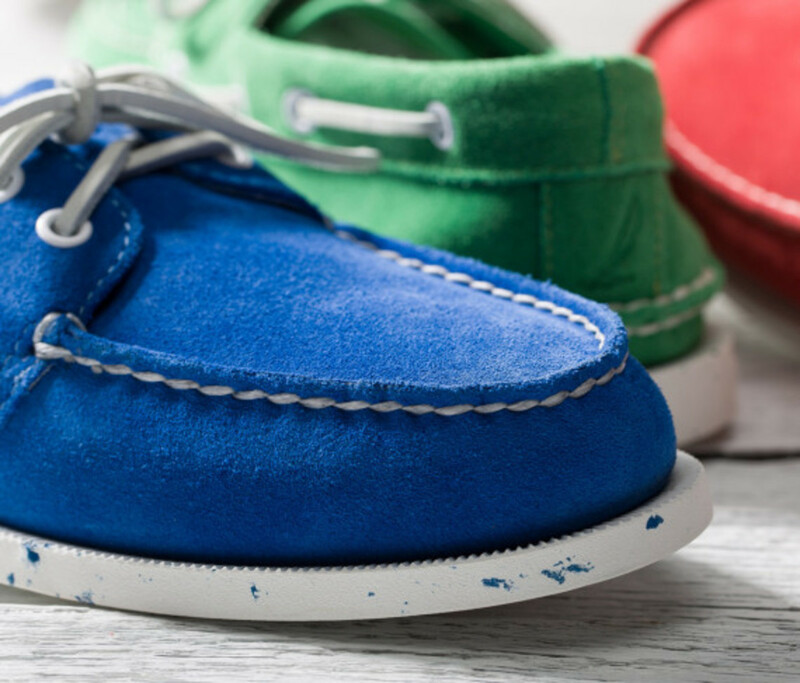 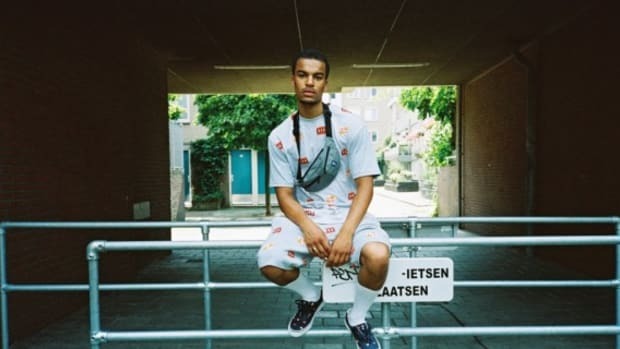 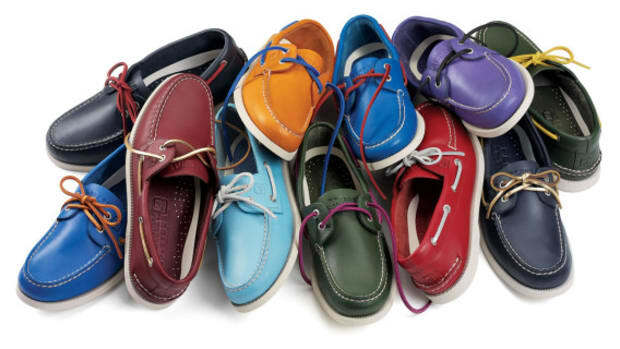 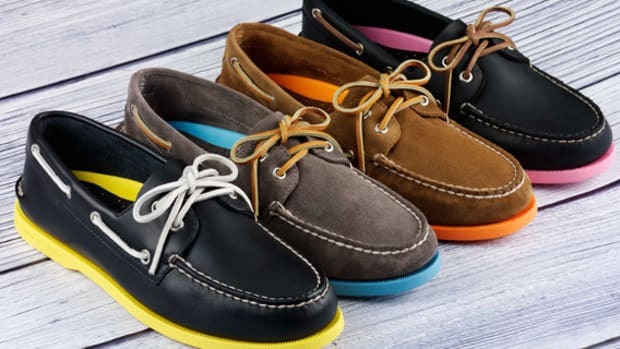 For Spring/Summer 2014, Sperry Top-Sider partners with luxury retailer Barneys New York to launch an exclusive collection of Authentic Original boat shoes. 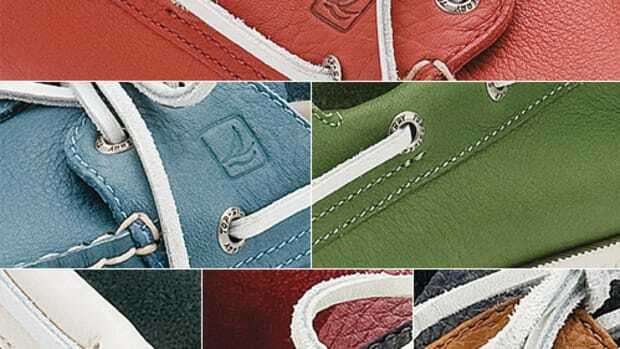 Built with a supple suede upper, the quintet of individual colorways is inspired by the bright colors of nautical flags and features contrasting white at the eyelets, leather laces and leather footbed. 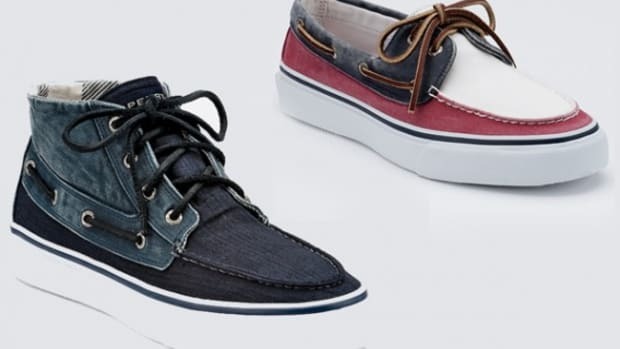 Sperry adds a unique design element by transposing the saturated color from the upper onto to the rubber outsole to create a subtle speckle detail. 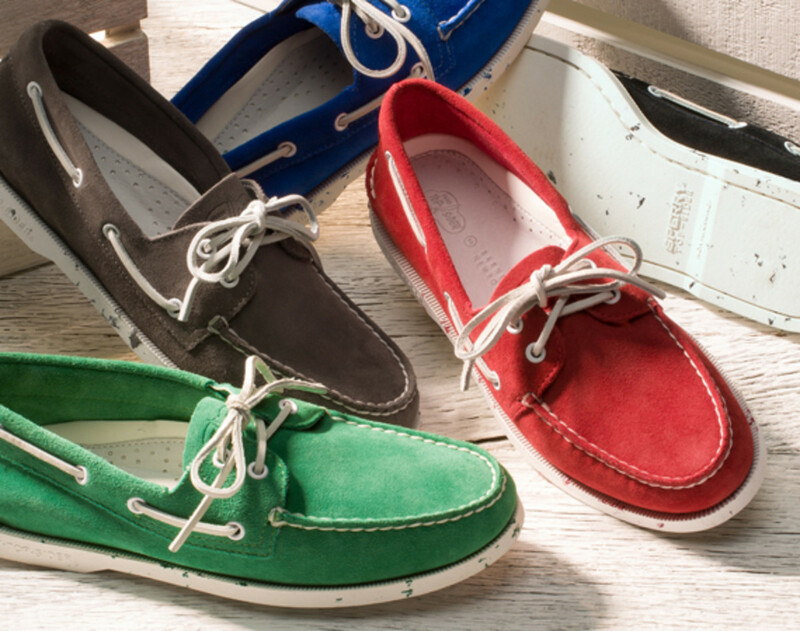 Available in grey, red, green, blue and black, the boat shoes can be purchased now at select Barneys locations and online.